Kenya has a free enterprise economy and the strongest industrial base in the eastern and central African region. According to the census conducted in 2009 Kenya’s population then stood at 38.6 million, an increase of approximately 10 million compared to the figure of 28.7 million people recorded during the previous population census in 1999. Kenya therefore, has about 40% of the total East African Community population of about 80 million people. It is thus, a sizeable market apart from being a strategic investment, tourist and trading location. It has easy access to various export markets such as the Common Market for Eastern and Southern Africa (COMESA), the rest of Africa, Asia, the Middle East and Europe. As a transport and communications hub for the sub-region, Kenya is also competitive when trading with distant markets such as the USA, Canada, and Australia. Increased trade with the USA has been enhanced by the African Growth and Opportunity Act (AGOA). Kenya is a member of several commercial and economic organisations which make the country a safe and secure place to do business. These include the World Trade Organisation (WTO); the United Nations Conference on Trade and Development (UNCTAD); the African, Caribbean and Pacific/European Unions (ACP/EU) Cotonou Agreement, the International Monetary Fund; the World Bank, the Multilateral Investment Guarantee Agency; and the African Trade Insurance Agency among others. Kenya-German investment activities are further supported by bilateral protocols, especially the double taxation agreement signed between the two countries in 1977, and the Treaty On The Encouragement And Reciprocal Protection Of Investments which came into force on 7th December, 2000. A division within the Export Promotion Council, the Centre has the objective of providing a potential importer and exporter with a timely, reliable and updated business information at all enterprise levels. It operates as a hub of a national network embracing various sources of business information. This is a parastatal body established to advise growers, exporters and processors in order to facilitate and increase production of top quality horticultural produce for export and local market. The organisation is also charged with the responsibility of licensing horticultural exporters. 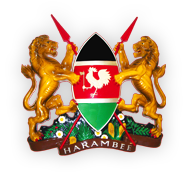 The Board is a parastatal organisation charged with the overall responsibility of marketing Kenya as a tourist destination of choice. The Kenya Tourist Development Corporation was established in 1966 with main objective of developing the infrastructural facilities in the tourist industry in Kenya. The organisation has since developed investment strategy going into partnership with foreign and domestic private investors in tourism development. KTDC provides both financial and business advisory services to the investing community in the tourist industry. Hence as a bridge between other development financial institutions and private investors, KTDC mobilizes financial resources form foreign sources to assist the tourism industry. Investors can therefore, use KTDC facilities to develop their tourist industry projects in Kenya. The Service is a statutory body responsible for the conversation of biodiversity and sustainable development of natural resources in the national parks and reserves. As a custodian of biodiversity resources, KWS has the role of managing, protecting and conserving the country’s natural heritage on which the tourism industry is economically dependent. The Service therefore, seeks to ensure optimum economic benefit to the Kenyan people through development and promotion of nature tourism. KWS can be a trusted and committed partner in world nature conservation. Investments in this sector is therefore welcome. The KIA is a one-stop shop for investors intending to invest in Kenya. KIA helps facilitate the approvals, licensing of new investment projects, and organizing investment promotion activities both locally and internationally. In approving investment projects, KIA works in consultation with respective government authorities to facilitate the acquisition of relevant approvals, licences and permits. Upon project approval, KIA issues a General Authority Certificate which enables investors to commence immediate implementation of their project while obtaining the required licenses within a period of six months. The Authority is the one point to visit when intending to invest in Kenya in any sector of the economy. It has a list of project proposals which can readily be taken up by any interested foreign or local investor. The KIA has also listed all the investment opportunities available in Kenya in its databank and website. This is an umbrella lobbying body for the business community in Kenya. It advises both the government and business community on the trend of local and international trade. Unlike in Germany where membership to the Chamber by the business organisations is mandatory, the chamber of commerce and industrys membership in Kenya is voluntary. The one umbrella body with headquarters in Nairobi has countrywide branches in major cities. 3) The Fresh Produce Exporters Association of Kenya is a non-governmental membership organisation. Its main objective is to promote the horticultural sector by undertaking market intelligence, export promotion, technical support and training of the members. It works closely with Kenya Plant Health Inspectorate Service, Kenya Flower Council, and Horticultural Crops Development Authority for maintenance of high quality fresh produce in Kenya for the local and export market. 4) The Kenya Flower Council is an organisation established by major stake holders in the flower industry to foster responsible and environmentally safe production of cut flowers and related products in order to make Kenya flowers competitive and safe in both the local and export markets. The Council has established stringent code of practice and standards that members must adhere to, including six month continuous farm audits. 6) The Kenya Private Sector Alliance (KEPSA) brings together all associations in the private sector in Kenya. It is a one-stop umbrella association to turn to in case of need to contact any product or service association or individual companies in Kenya. Any association not introduced in this website can therefore be traced by any investor, trader and service professional or consumer of any sector through KEPSA. 7) The Kenya Association of Manufacturers is an organisation established in 1959 to be the sole representative of the manufacturers in Kenya. Its objective is to drive industrialisation process in Kenya through promotion of competitive local manufacturing in a liberalized market environment.